Getting around in Venice is pretty much limited to two modes of transportation; you can either walk or ride the vaporetto. Actually, you can also ride a gondola, but that's more of a "thing do to" than a mode of transportation. The vaporetto is basically a water bus that takes visitors to various destinations in and around Venice. They make stops just like a city bus would, and passengers can come and go at each stop depending on their destination. There are 22 different lines in the system that take passengers around the Venetian Lagoon. We won’t go over all of them but will look at the routes that traverse Venice and the popular neighboring islands of Murano, Burano, and Lido. If you are visiting Venice, these are the vaporetto lines that you want to be familiar with. 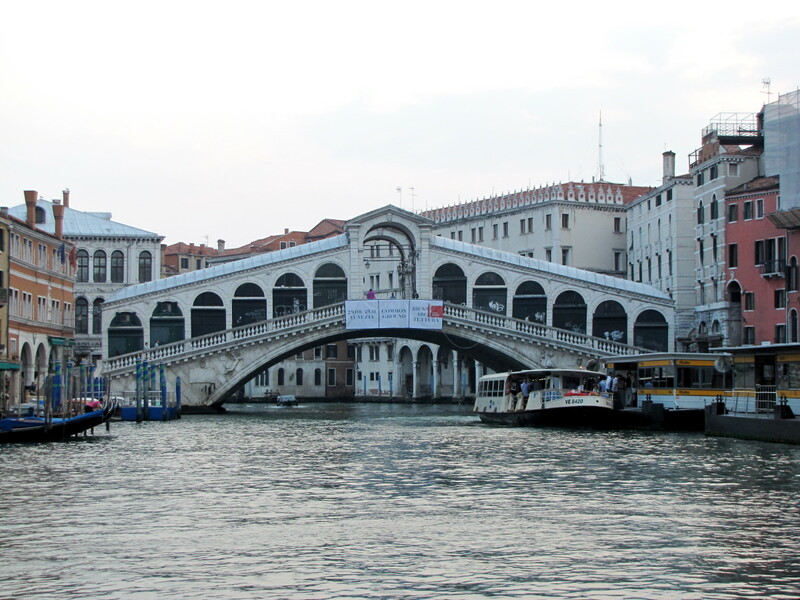 For most visitors to Venice, the only vaporetto lines that you will probably need to ride are line 1 and 2. Vaporetto line number 1 and 2 run up and down the Grand Canal between Piazzale Roma and San Marco. As most visitors to Venice will be arriving at either the train station (Ferrovia) or the bus station (Piazzale Roma) these lines are the ones that you will be taking. The only difference between these two lines is in the number of stops that they make. Line number 1 takes about 45 minutes to go the length of the canal and stops at every station along the way. Line 1 also continues onto the island of Lido, which is famous as the beach island of Venice. 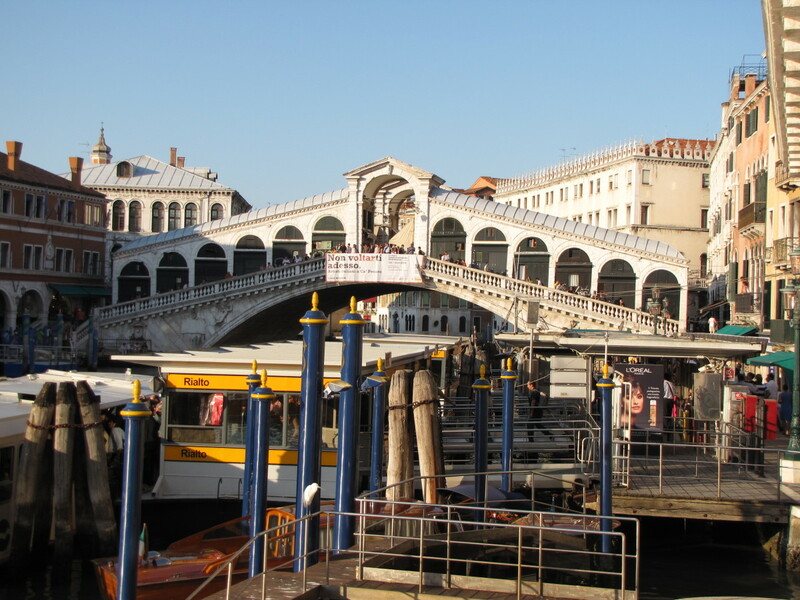 Line number 2 takes only about 25 minutes to traverse the Grand Canal and only makes a handful of stops at the most popular stations: Tronchetto, Piazzale Roma, Ferrovia, San Marcuola, Rialto Bridge, San Toma, Accademia Bridge and San Marco. Line two also stops at Guidecca and only goes to Lido during the peak season. While utilizing the vaporetto may be required to get to your accommodations or to one of the outer islands, be sure to use it for a ride down the full length of the Grand Canal, preferably during off-peak hours. There is no better way to experience the true essence of Venice than by cruising the Grand Canal and the water bus is a much cheaper alternative to a gondola ride or a private boat. The one disadvantage to using the vaporetto to tour the Grand Canal is that they are often very crowded so off-peak hours is recommended. The vaporetto line number 3 is known as the direct Murano line. This service connects the Ferrovia (railroad station), Piazzale Roma (bus station) and five stops on the island of Murano. If you are looking for a quick trip out to Murano, line 3 might be your best bet as it avoids the crowded Grand Canal. Lines 4.1 and 4.2 make a circular route that goes around Venice and out to the island of Murano and San Michele (Cemetery Island). Line 4.1 runs in a clockwise direction while line 4.2 takes the same route but in a counterclockwise motion. 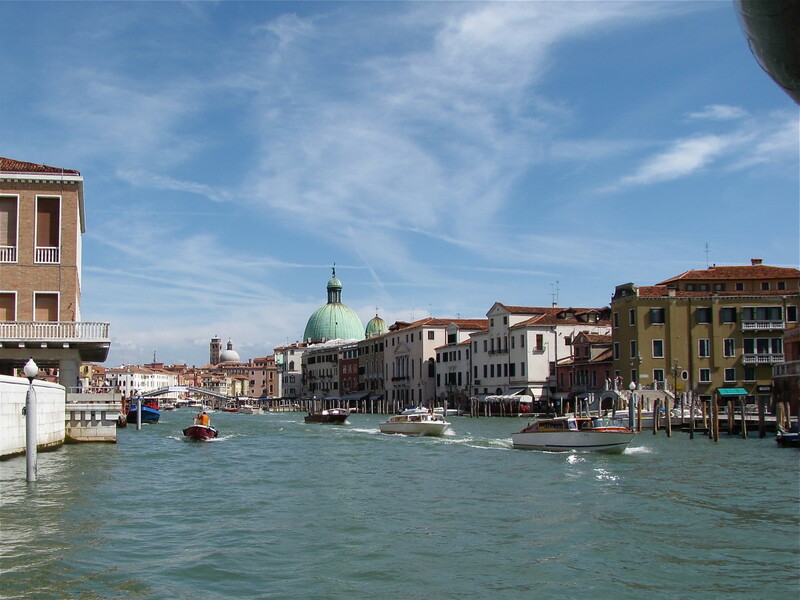 On these routes, the vaporetto leaves Murano and makes stops at San Michele, Fondamenta Nove, Ferrovia, Piazzale Roma, Guidecca, San Zaccaria, and Fondamenta Nove again before returning to Murano. To help you get your bearings the Fondamenta Nove station is located on the north shore of Venice while the Guidecca station is located on the south shore of Venice. The 4.1 and 4.2 lines do not go down the Grand Canal but rather travel around the island of Venice before heading out to Murano. If you are interested in visiting the islands of Murano, Burano, or Torcello then line number 12 is the way to go. Line 12 leaves from the Fondamenta Nova station located on the north side of Venice. It’s a short ten-minute ride to Murano and along the way, you will pass the cemetery island of San Michele. From Murano out to Burano is a longer ride and will take about 35 minutes. 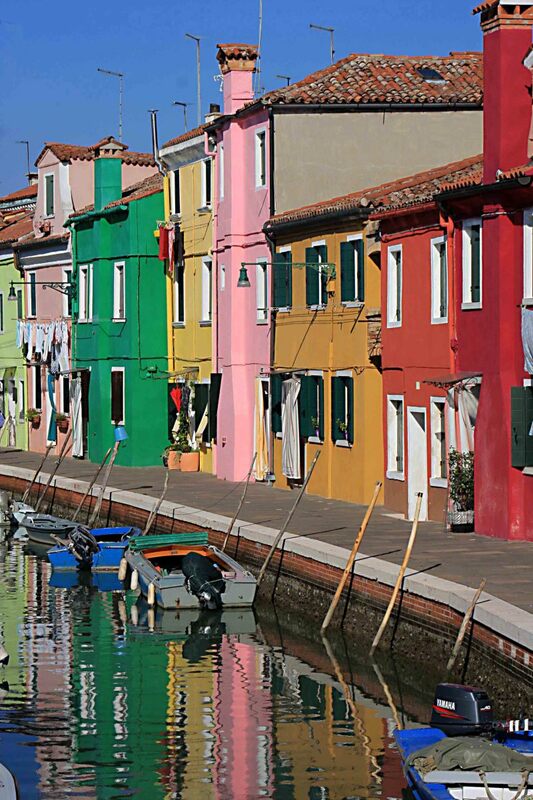 Burano is a beautiful island with a multitude of colorful homes and is worth the ride. Continuing on from Burano to Torcello is just a five-minute ride. To get to the Fondamente Station you can either walk or you can get there via other vaporetto lines (4.1, 4.2, 5.1, and 5.2). 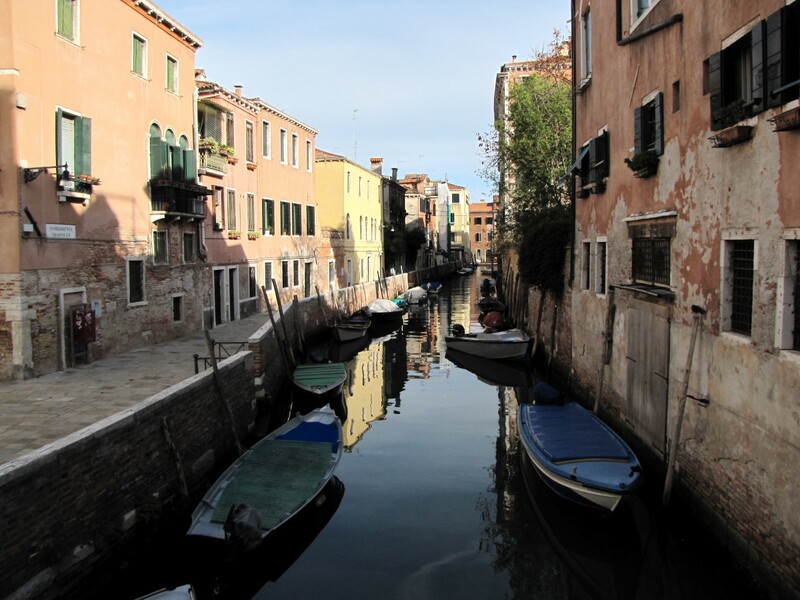 I would suggest a walk as this will give you a chance to see the Cannaregio district of Venice. This part of Venice is rather quiet and is home to the Jewish Ghetto and the Church of Santa Maria di Nazareth. 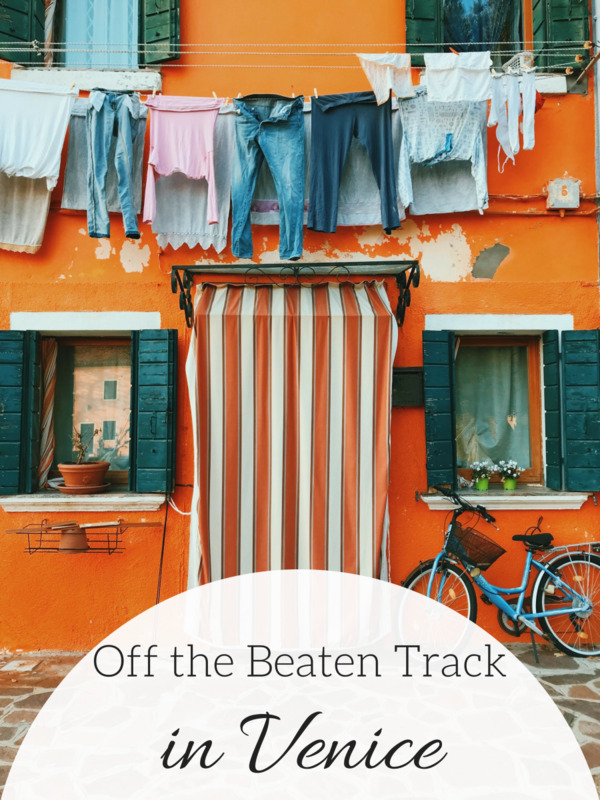 A walk through some of the more quiet neighborhoods of Venice will give you a glimpse of a different side of Venice away from the crowds of Rialto and San Marco. If you are heading out to the island of Lido, the beach island, another option in addition to line number 1 is to take the number 14 vaporetto, which leaves from the San Zaccaria station located just beyond the San Marco stop. Line number 14 makes a stop in Lido before heading out to Punta Sabbioni, which is home to the largest campground in the Venice area. 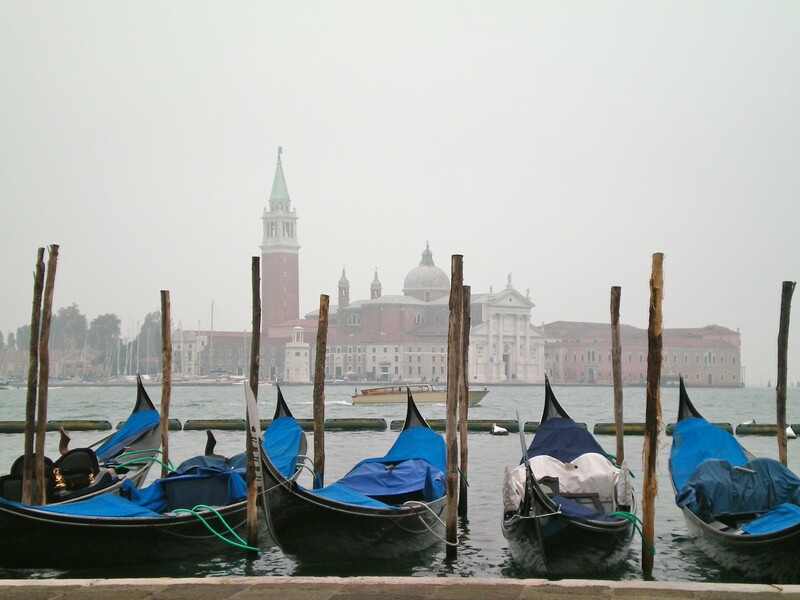 So what’s it going to cost you to get around Venice by vaporetto? That will all depend on how often you plan on taking the water bus and how long you are staying in Venice. For a single 75 minute ticket, which allows travel on most of the lines and includes one luggage bag the fee is 7.5 euro. The 75 minutes starts from the time you validate your ticket, which should be done as soon as you board. The ticket is good for travel in one direction and does not include the return trip. Although a round-trip ride is not technically allowed, if you can complete it within the 75 minutes you can go round-trip. You can also hop off and back on at any stops during the time period. 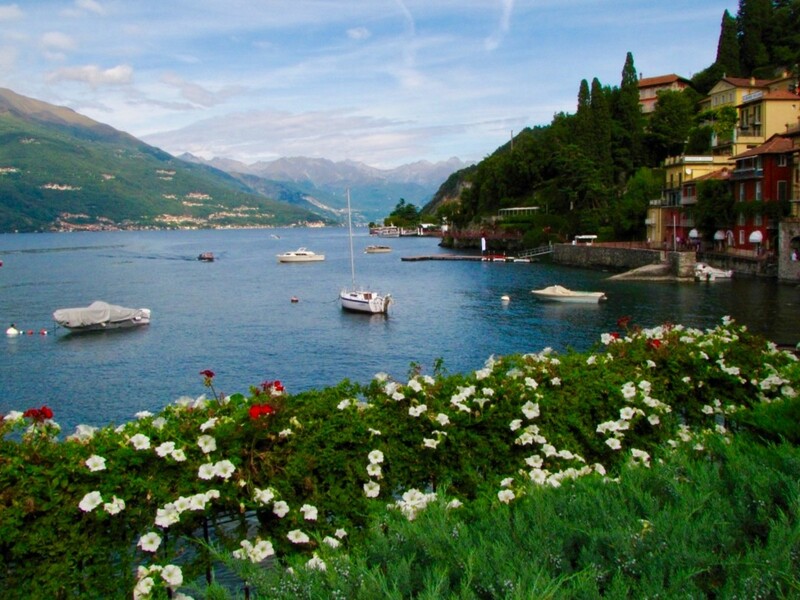 The Travel Card options offer you the opportunity to save some money while making unlimited trips on the vaporetto system without worrying about having to wait in line to purchase single trip tickets. Just be sure to validate your ticket on your first journey and make sure you carry your Travel Card with you as they do check for tickets. You do not want to get caught riding the vaporetto without a valid ticket as you will incur a hefty fine. Hopefully, this helps you find your way around Venice and gives you a clearer understanding of the vaporetto system and which lines to use. When in doubt simply ask an attendant at any of the stations or look for the signs that show a map of the various lines and stops. Enjoy your visit to beautiful Venice. Is it possible to provide the timings of the water buses in Alilaguna? This link will take you to the Alilaguna Water Bus schedule. Most visitors will take the Orange Line as it goes down the Grand Canal. Here is the schedule for the Orange Line. Water Buses leave every 30 minutes. 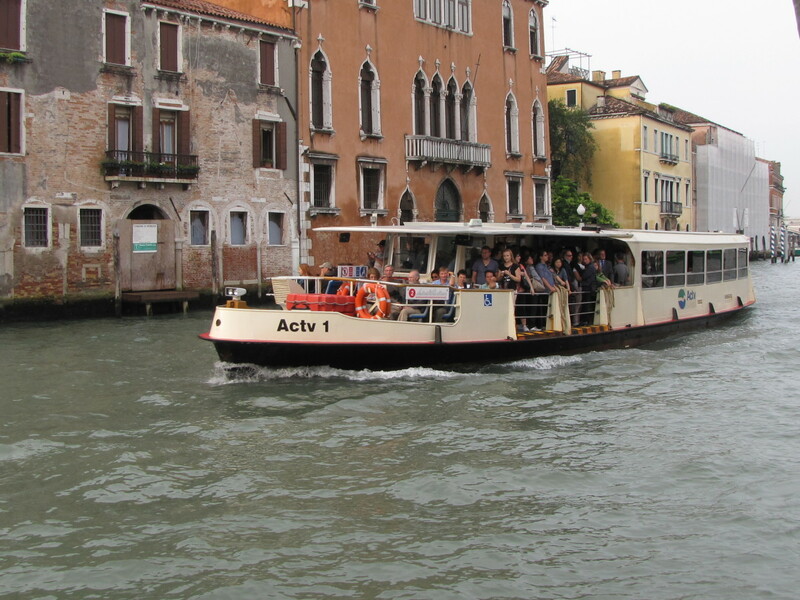 Is the Vaporetto boat bus a better choice than the Venice hop-on-hop-off boat? I have never done the Venice hop-on-hop-off sightseeing boat, so I can't comment on that personally. I did go to their website, and the reviews seem mixed. Some visitors found it convenient while others thought it was overpriced and there were too few stops. To be honest, most of Venice is accessible on foot, and this is the best way to see it. 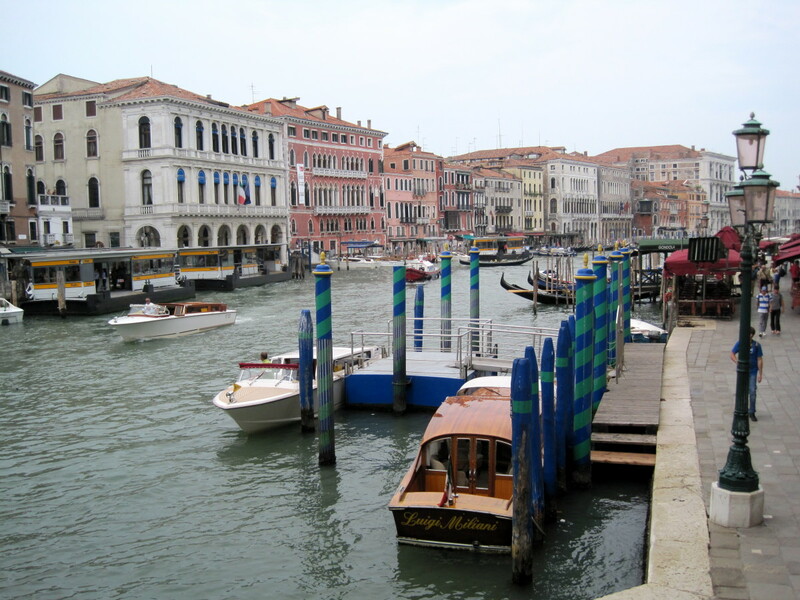 But, I will say that there nothing like a boat ride down the Grand Canal so that is a must do. The one-day travel card for the Vaporetto is 20 euro, which is the same as the 24-hour hop-on hop-off fare so no big difference in cost. 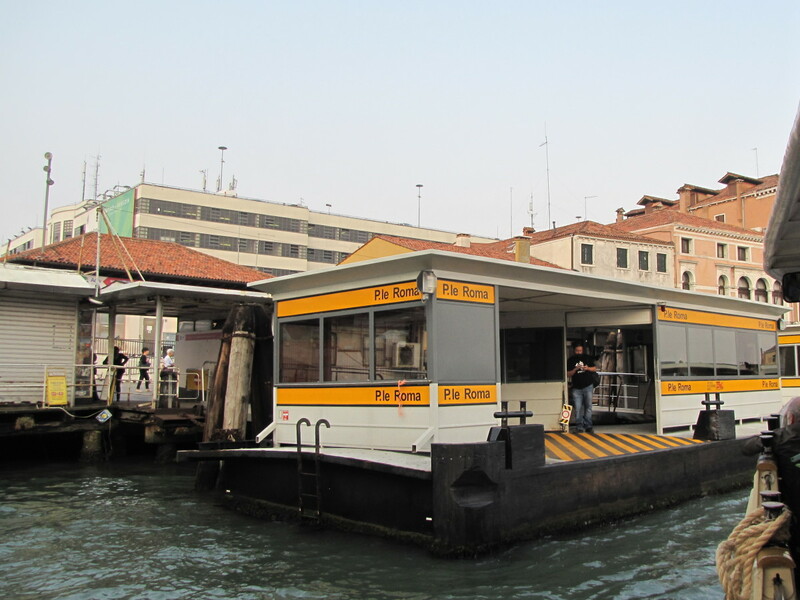 With the Vaporetto you have maybe more flexibility with stops and also the option of going out to Murano, Burano, or Lido. Do we have to print the Vaporetto day pass or can we use the soft copy on our phones? When you purchase the pass online you should be able to simply print the ticket. They should also send a receipt that you can print for proof of purchase. If you have a soft copy on your phone they should also be able to read the barcode, similar to how people have their airline boarding pass available on their phones. Should I validate my ticket before or after boarding the boat? You validate your ticket before you board the boat. The validation machines are usually located on the ramp or loading platform. Which bus route is the most affordable to visit the main tourist area in Venice? 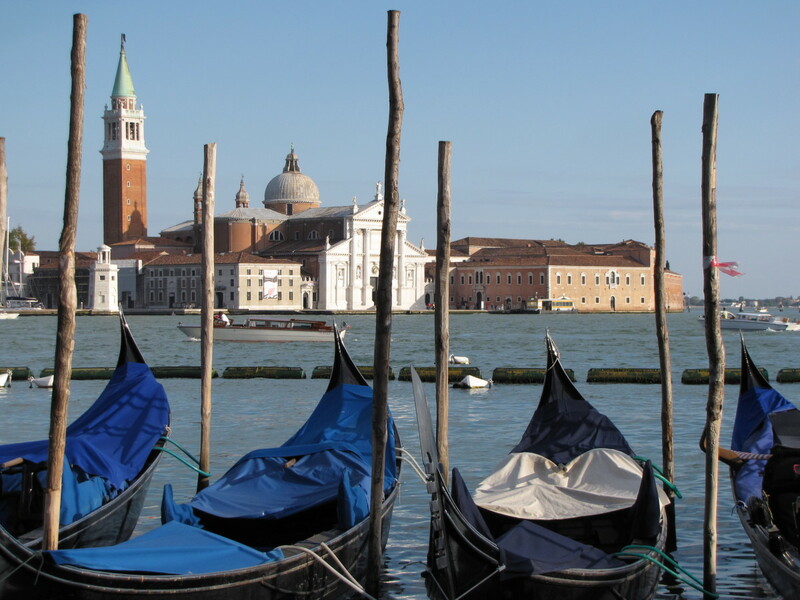 There are two bus services that go from Marco Polo Airport to Venice, ACTV and ATVO. Both offer a one way trip for 8 euro and a round-trip ticket for 15 euro. You did not indicate where you are visiting from so I assumed you are looking for the most affordable way to get to Venice from the airport? Thank you Glenis. Always good to get confirmation on the things we write about especially when it comes to traveling. Thanks for stopping by, have a great week. Hi Mona. No worries, the gondola are still very much there. The vaporetta is a wonderful transportation system in Venice , which makes it easy and comvenient to get pretty much anywhere around Venice. 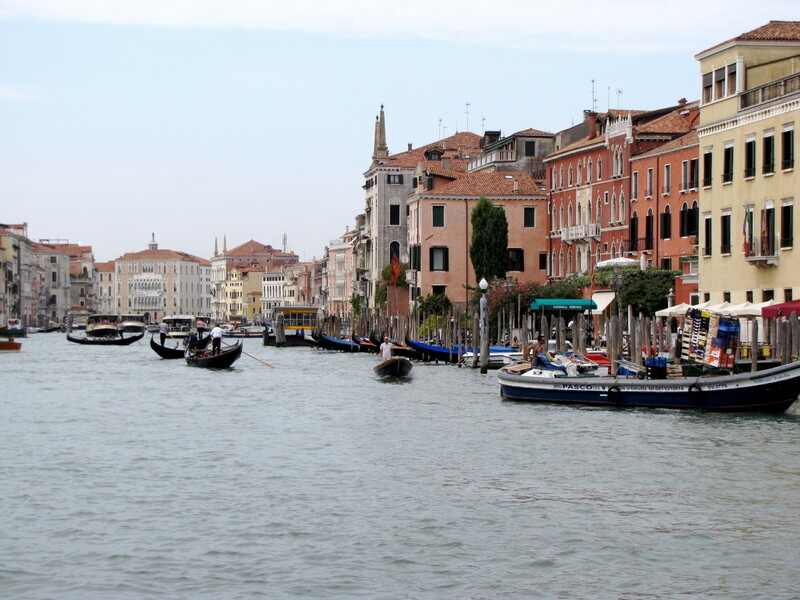 It's also a great way to see Venice by riding the vaporetta up and down the Grand Canal. Thanks for stopping by. Have a great week. I was only a little girl when I was in Venice, and we rode a gondola. When my sister recently mentioned a vaporretto, I had no idea what she was talking about. How interesting to know there's a whole "water bus system" now in Venice. My sister never quite explained that to me and I thought that gondolas were gone forever. Great article. Hi Svetlana. Thank you and welcome to HubPages. Thank you for very useful and informative hub. Many thanks for stopping by and the vote. I have always wanted to visit Venice. Great informative article and I love the pictures. Voted Up! Hi Mike. Great to see you. Thanks for stopping by and Happy Holiday's to you. Great info Bill especially the day passes for the valperetto. Italy can be very expensive from what I hear. I found this hub via your youtube video on the grand canal. I hope to visit Italy sometime soon. Your hubs have great advice. Thanks. Hi Glimmer Twin. Thank you. There really is no other place quite like Venice. Go.... You won't regret it. Many thanks for stopping by and the share. I have always wanted to visit Venice and your photos and writing make me want to go even more. This is incredibly useful for anyone planning a trip! Thanks and shared around! This hub is full of useful information for anyone who is planning to visit Venice. Beautiful picture, too! It is indeed one of the most beautiful cities in the world. 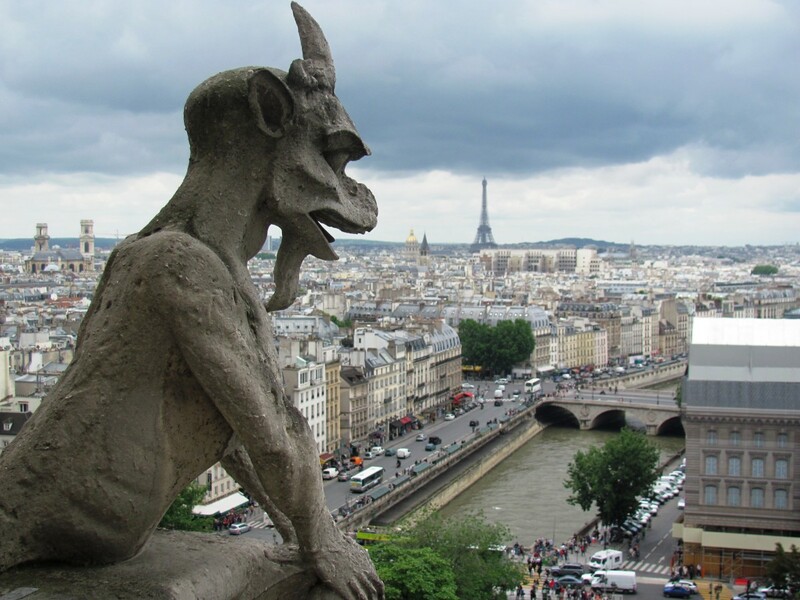 I would really love to visit it once in my lifetime. Voted up, useful and beautiful! Bill, what an interesting way to see Venice via the vaporettos. They sure an are enticing mode of transportation. Lovely pictures as well. Voted up, useful and interesting. Shared as well. This hub will be extremely useful for anyone who is planning a trip to Venice, Bill! As always, the photos are very enjoyable. I hope so much that I'll be able to visit Italy one day. Your wonderful collection of hubs about Italy would be a great guide on my trip. Hi Mary. If you ever get the chance it is beautiful. It's so colorful and full of life. There really is no other place quite like it. Thanks so much for all the support, I really do appreciate this community and the way we support one another. Have a great week. Have I ever wanted to visit Venice? Well after I was in Vegas and visited the Venetian, but, having visited this hub and your wonderful explanations and marvelous pictures now I really would like to visit it. The colors along the canal are beautiful. You make everything sound so simple with your great directions for getting around. Another great travel hub Bill! Hi Elias. Thank you, glad you enjoyed the ride on the vaporetto. Venice is a wonderful place, so unique and full of life. Have a great week. Thank you Suzie. What can I say but thank you again and again. We've come a long way since early 2012. We've found our niches and keep plugging away. It's been a great ride so far and I certainly hope for it to continue. Thanks so much for all the support along the way. Have a great week. Hi Chitrangada. Having been there yourself you know first hand how magical Venice can be. Thanks for stopping by and taking the time to comment. Another great travel hub about Italy, Bill! Wonderful job as always! What a great addition to your Venice collection and so useful. As one who has Venice firmly on my radar when in Italy next, this run down on the invaluable vaporetto will be so useful, thank you! I can see us definitely using this and the travel card is the way to do it. 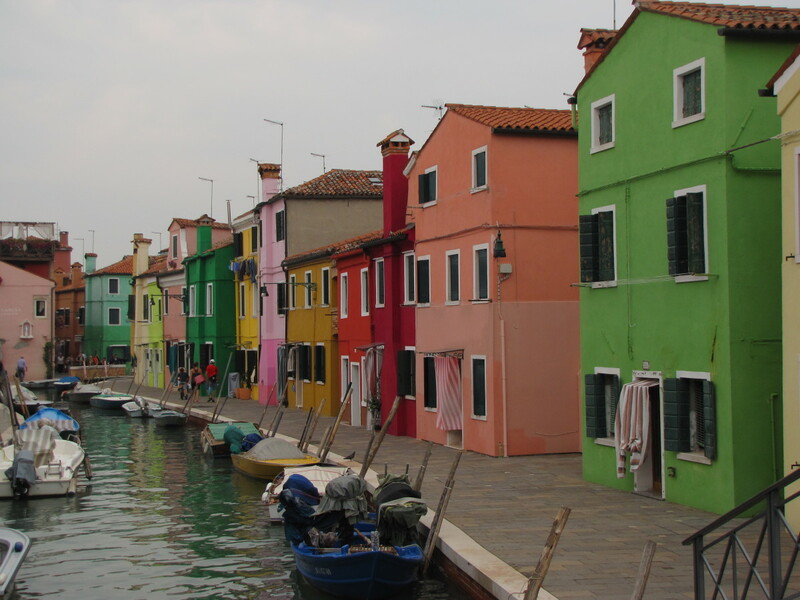 I would want to go to the islands particularly Murano and Burano so knowing the right lines now is perfect. Thanks again for another excellent hub, you really have made this niche your own and do it superbly! I am thrilled to see you grow too and your articles are such a pleasure to read, enjoy and learn from. Votes up, useful, awesome, interesting, shared and pinned. 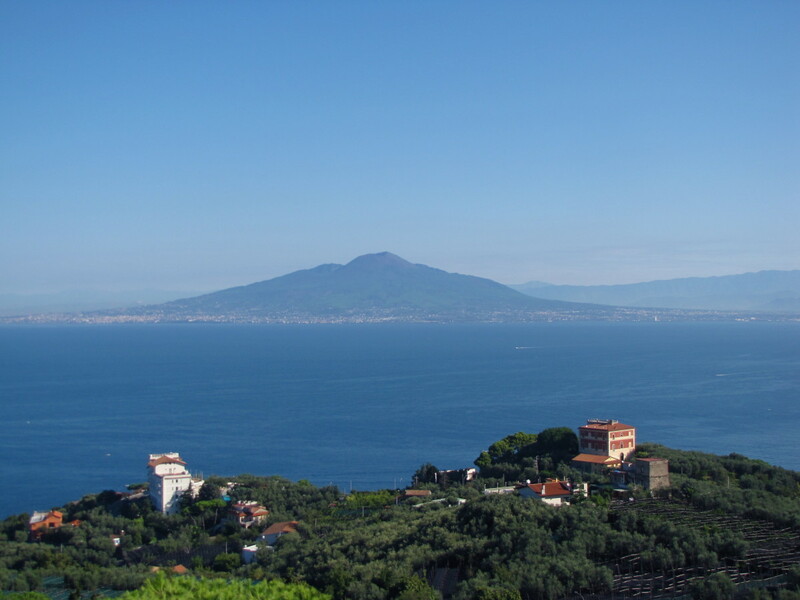 This again is a great hub on Italy travel! I have seen Venice and have many-many pictures, much like yours, of this wonderful travel destination. Hi Crystal. Thank you for coming along for a tour of Venice. Riding the vaporetto is actually a lot of fun. Thanks for the vote and share. Have a great week. Hi Bill. Thanks. Our big State Fair just started also so we are planning a day there in the next week or so. We are heading into my favorite time of year here and the weather has been great lately. Glad you enjoyed Venice. Another great and very comprehensive hub. Voting up and sharing this one. This is a wonderful addition to your growing collection of Italy hubs, Bill. Thanks to you, Italy is now definitely on my list of "gotta go" places. Well written, lovely original photos, excellent tips. Voted up and sharing.